For those who have a garden and lawn, the best way to keep both healthy is to make sure you take care of all those Fall leaves by raking them up. While some subscribe to the leaf blower method, it never did make much sense to me to blow leaves into the street (or elsewhere) instead of raking them up. Also, using a blower isn’t environmentally friendly. So, if like me you prefer to try and do your yard clean-up in as green a fashion as possible, then I see a rake in your future. #1 If you don’t already have one, buy a sturdy rake with wide tines that will bend a tad. This will make it easier for you to get more leaves per sweep. #2 If you routinely have pain in either your shoulders or your back, consider purchasing an ergonomic rake. These rakes are clog-free and have bent handles — helping to take the pressure off your back and shoulders. #3 To prevent backaches from using muscles that you don’t normally use, don’t stand in one place when you rake. 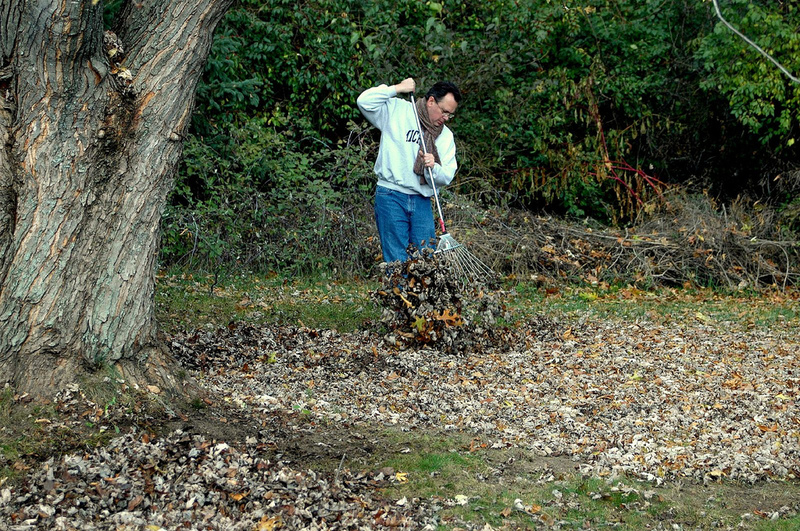 Instead, move your feet and legs as you bend and twist to do the raking. This will help to prevent injuries and discomfort down the road. #4 When sweeping with your rake, sweep in smaller motions rather than larger ones. You will get more leaves per sweep that way, not to mention more of a workout for you muscles. #6 Wear long pants, gloves and layers when raking. This will help to protect you in the event there are snakes or insects in between the leaves. It will also keep you warm while it’s cooler and enable you to shed layers as it warms up outside. #7 Wait until after peak foliage time to rake your Fall leaves. It may seem like it is better to rake them up right away when they first begin falling, but you will find yourself raking your yard more often if you do that. 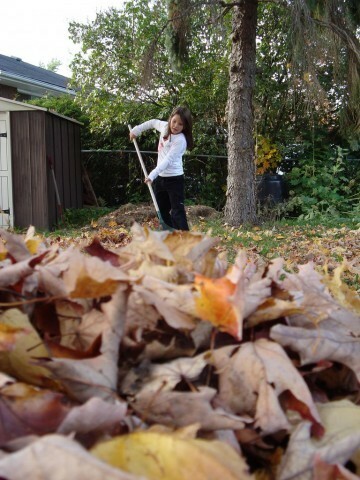 These are just a few tips to get you started with your Fall leaf raking. By following even a few of them, the task will be much more enjoyable and safer for you and those who help you rake leaves. Help The Fish: Don’t Rake Leaves Into The Street!